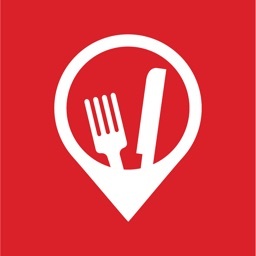 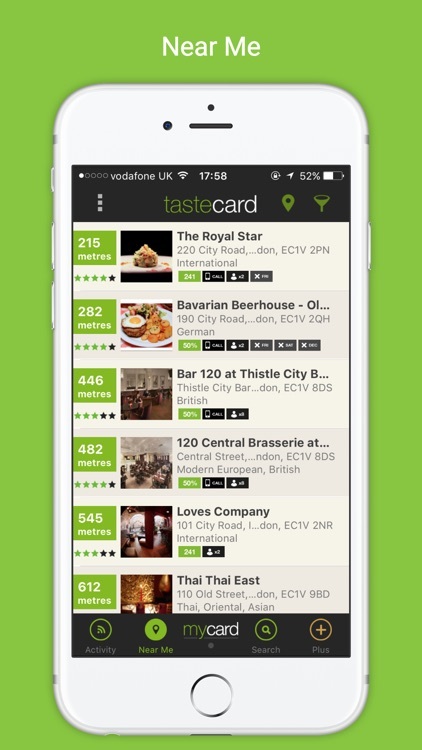 Get instant access to top restaurant deals straight on your mobile with the free tastecard iOS App! 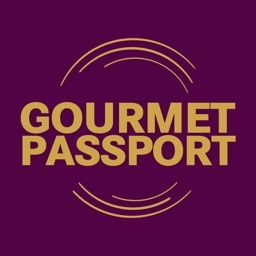 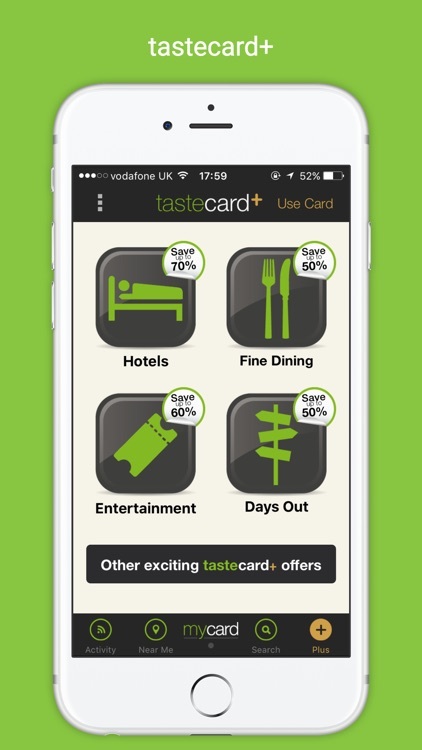 tastecard offers 50% off or 2 for 1 meals at over 7,000 top UK restaurants, including Pizza Express, Zizzi, La Tasca, Prezzo, Strada, ASK Italian and thousands more chain & independent restaurants. 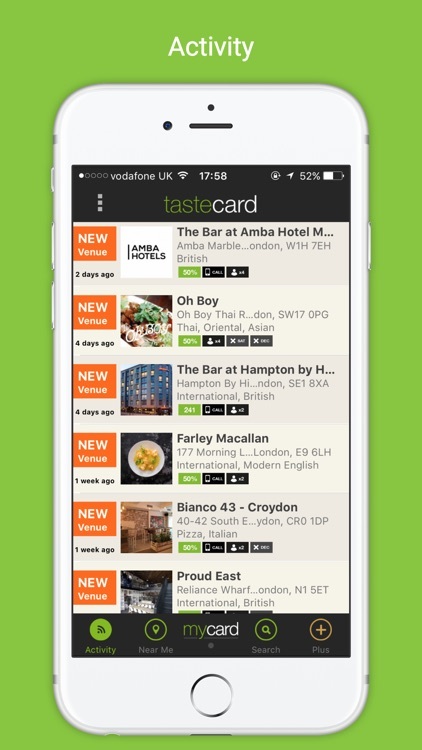 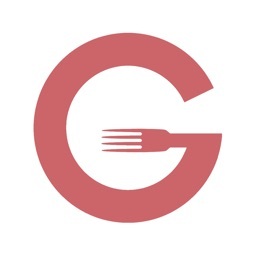 Discover new restaurants or find your favourite and make bookings directly from the App, saving up to £500 a year on dining out. 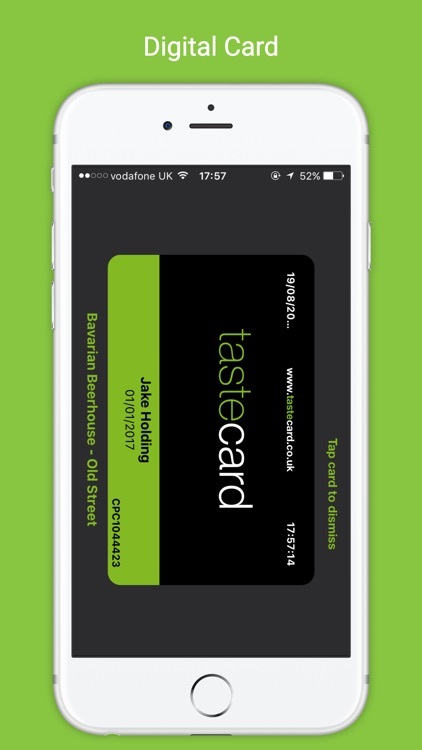 Download the tastecard App now for free and start saving today with the UK's no.1 diners' club! 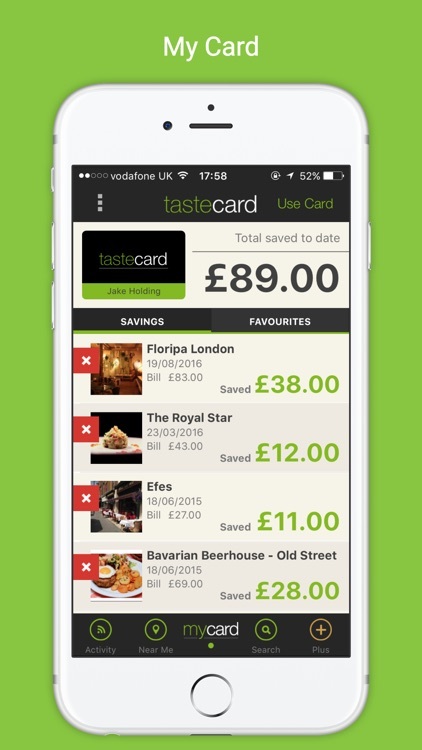 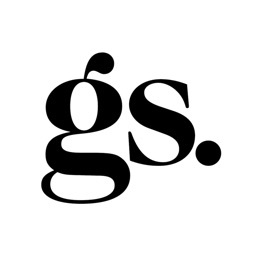 We’re constantly updating and adding new features to the App, and really appreciate any feedback. 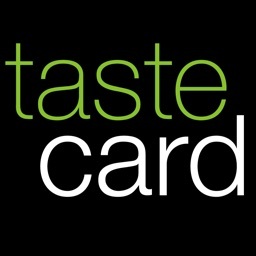 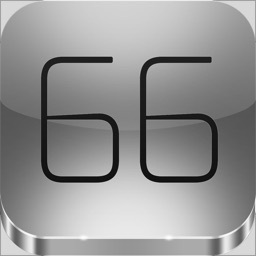 However, please remember that leaving 1 star reviews without comments does not help us to improve the App.